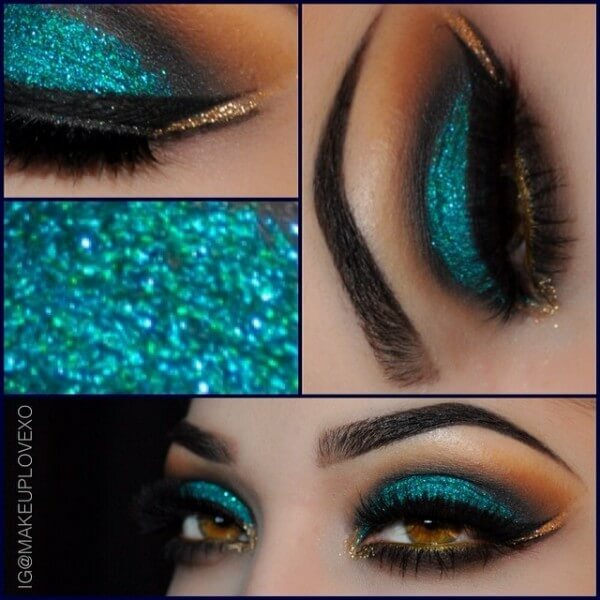 Home / Makeup Ideas / Glittery Teal & Gold Arabic Eyes by Jackie G.
Glittery Teal & Gold Arabic Eyes by Jackie G.
These teal & gold Arabic eyes by Jackie G. are just STUNNING! This is literally the most gorgeous eyeshadow I’ve seen all month!! ?